Tayo Lawal's Blog: Diezani forfeits N4.8b Abuja houses to govt. Diezani forfeits N4.8b Abuja houses to govt. 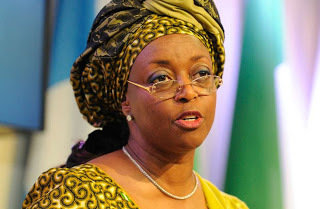 Detectives have been deployed in Port Harcourt, the Rivers State capital, in the ongoing probe of former Minister of Petroleum Resources Mrs. Diezani Alison-Madueke. Of interest are five choice houses believed to be Mrs. Alison-Madueke’s. It is all part of the last leg of the investigation of the ex-minister in collaboration with the National Crime Agency in the United Kingdom. Amid the Port Harcourt operation, another asset of the ex-Minister in Abuja, allegedly worth over N500million, has been confiscated pending her trial. According to the Nation, a top source in EFCC, who spoke in confidence, said: “Based on latest intelligence, we have been able to trace more choice assets to Mrs. Alison-Madueke in Port Harcourt. We have drafted more operatives in Rivers State. Another property, which is believed to be worth N500million, has been seized from the ex-minister. The source said the property is believed to be at Frederick Chiluba Close in Asokoro District in Abuja. The asset is now placed under interim forfeiture until the court decides otherwise,” he added.